Alan was born in West Drayton but he now lives in a village near Lincoln after "moving up North" in 2001. Alan confesses that he likes watching music, sport & soaps (how sad) on TV, but his first love is music and he has a large collection that he started back in the 70's. His love of music led to him working in a record shop in the 70's and early 80's but since 1987 enjoys early mornings as a postman. 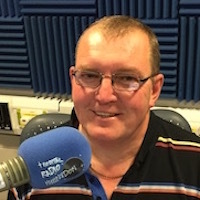 He joined Radio Hillingdon in 1977 and still presents to this day. Alan can also be heard across Lincolnshire on the local radio station.